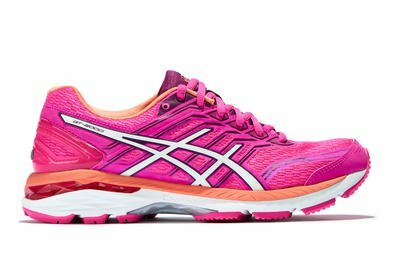 What to look for when buying a new pair of running shoes? The hardest decision for a runner to make is the shoes that he or she needs to buy. Let’s face the fact that the variety is amazing and is a treat for the eyes. The fitness brands are overflowing with incredible running shoes and the decision becomes chaotic with every option you drop your gaze upon. It is really important for runners to buy the right shoes for themselves which prevent their feet from stress and other injuries. If you don’t have the right pair of shoes, you cannot run for miles as the wrong shoes can easily tire your feet and make you stop in the midst of your journey. Therefore, we have listed some basic tips that will help you buy the perfect new pair of running shoes for yourself. So what do you need to look for when buying running shoes? Ask no more; as the answer is right here! A lot of people think that this really doesn’t matter but this is the key to your running shoes decision. What kind of feet do you have? Are they sensitive? Are they more comfortable in hard soles? Do your feet hurt if they are too soft? You need to define your foot type so that you can buy the best pair of running shoes for yourself. There are basically three types of feet; neutral, under pronation and over pronation ones. The best and luckiest ones are those who neutral feet have because they just need to see which shoes feel comfortable to them and they can easily choose that. Over pronators need extra supportive shoes and under pronators need not only support but proper structure too. So it is really important to pick your foot type before you invest in running shoes. Your feet need some area to breathe as they run. Extra fitted shoes usually make one uncomfortable while running. This is why it is important to buy shoes which are at the maximum half an inch longer than your actual foot length. If this irritates your feet then you can consider leaving some space in the width. Just make sure that your feet get some space to breathe and your shoes don’t over fit at all as this can ruin your running experience and investment too. It seems great to rely on a brand for your running shoes and there are endless loyal people who buy from the same brand over and over. Not that I am discouraging the idea, but switch to new brands or different shoes after some time. This is great for your running feet. Just like you desire change in your environment, your feet require some change too. Change in flex patterns, height of the shoes and creation of it can bring comfort to your feet pretty finely. Have you ever heard someone tell you to keep big things low key? Well, apart from jokes, low heeled shoes are going to be great progress for you and for your feet. As runners, relying on big heel shoes is going to be a call for trouble and that is foot stress. Over pronation is usually caused by high heeled running shoes. 4mm or 8mm heels are perfect for runners. Moreover, low heel shoes don’t strain your feet at all which is another major plus for serious runners who have to run for long miles. While you buy new running shoes, it is a great idea to keep your old running shoes along. NO! You don’t have to get them exchanged for new ones but these are going to give the salesman the perfect idea about what type of shoes are you looking for. This will also give them an idea about what type or running you do and what is your foot type as well. Therefore, the salesman will be able to recommend you the best running shoe on his own. This furthermore showcases your running pattern too. So what else can be greater than this? Thus keep relying on your old shoe; it is your life saver. Listening to your feet is certainly going to help you buy the best running shoes. You need to remember that it is not a shoe that is good or bad, it is what suits your feet and what don’t. It is more about how you run rather than the shoe. Enhancing your form day by day will demand for better shoes along the passage. Therefore, defining your feet and your running patterns is your ultimate savior while you are on a spree for buying new pair of running shoes.